Thanks to Sarah at The Fableists for the wonderful write up! 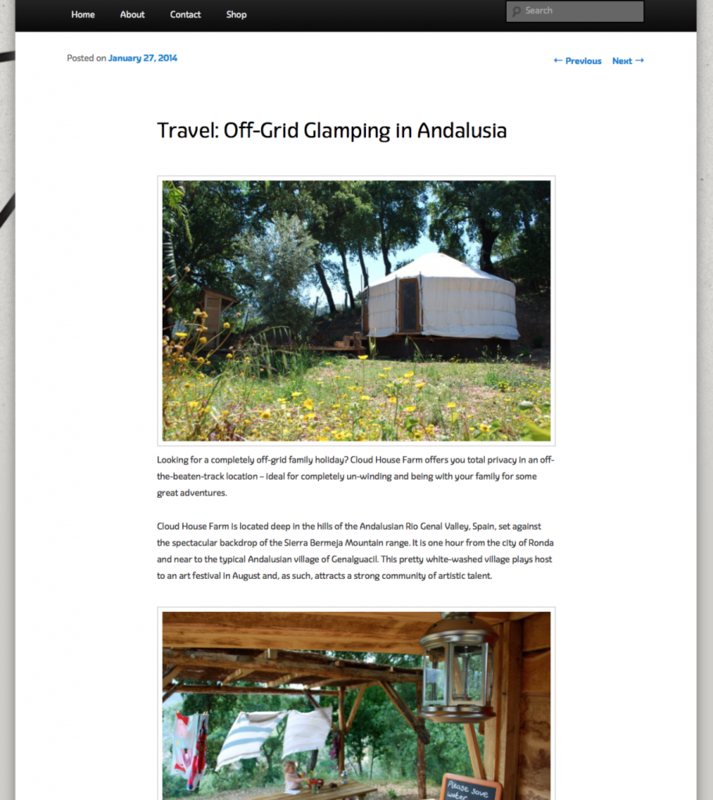 A real privilege to be included in the American Express “Unusual Camping Sites and Tents” Essentials selection. We are inspired by the accommodation on offer! 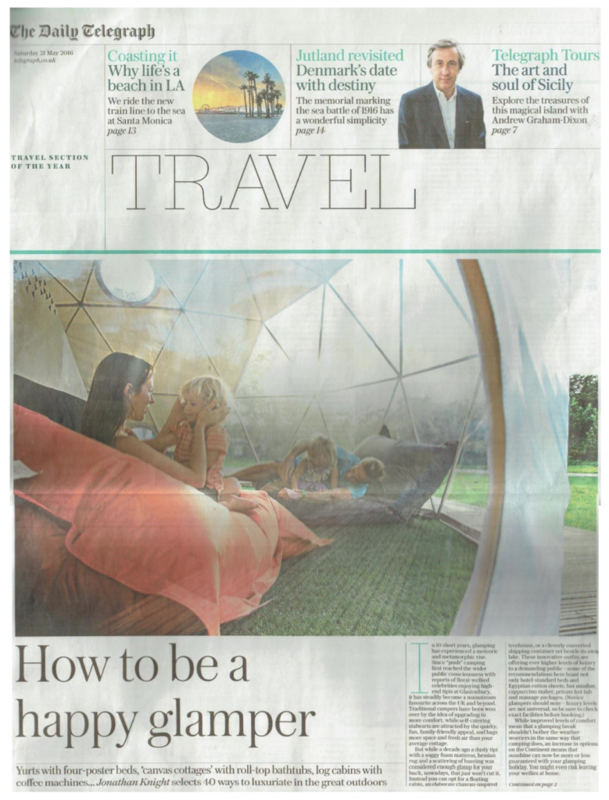 “How to be a Happy Glamper” The Telegraph! 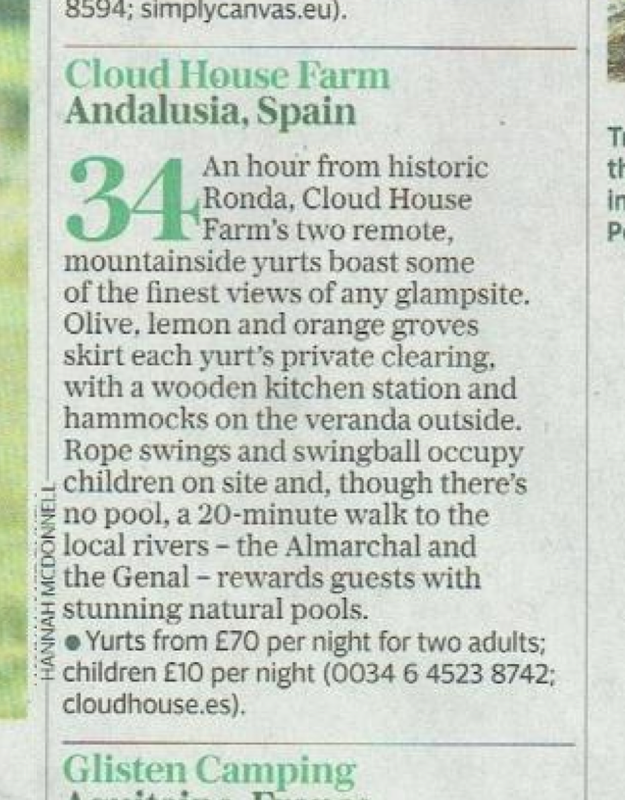 Thanks to the team and CoolCamping we’ve been featured in this weekends The Telegraph (Sat 21st May 2016) big printed pull out featuring a selection of 40 incredible glamping sites across Europe! 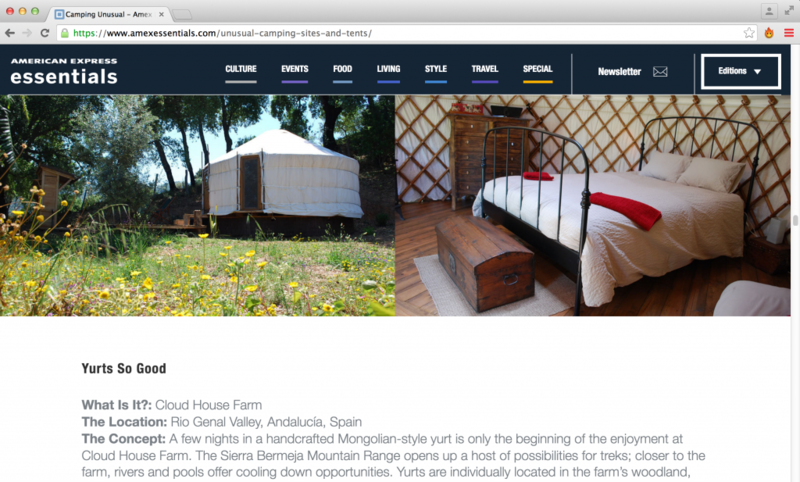 They’ve also listed Cloud House online, we are Happy Glampers!